Trinicom Communications LLC provides hosted VoIP (Voice over Internet Protocol) - SIP (Session Initiated Protocol) phone systems (PBX) for your business in the Houston area. With Trinicom, you can say goodbye to the expense, maintenance and continuously outdated equipment that are part of owning a phone system. 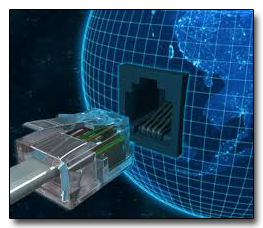 Using the industry standard SIP technology, you are able to take phones to any broadband connection and simply "plug and play". Trinicom hosts the phone system for you, we do all the updates for free and you will never have to buy a phone system again! For Houston Area clients who require T1 or DSL, we can bundle the package with the Hosted PBX service, or use your existing cable Internet connection. Our fault tolerant 100% fiber optic network combined with traditional switched dial tone carriers help to insure that your important business phone calls will not drop or become a garbled mess! And yes, since Trinicom supplies the dial tone you can keep your existing phone numbers. Do you have a VoIP Phone system you need collocated? we can collocate your phone server for you for reasonable rates. Please contact us for a free a consultation in Houston at 713-375-1800 or toll free at (888) 896-1653 or by email at sales@trinicom.com.